The Brewhouse is Oklahoma’s largest brewery at 30 barrels (that’s 900 gallons at a time). We’ve been doing it longer than anyone. 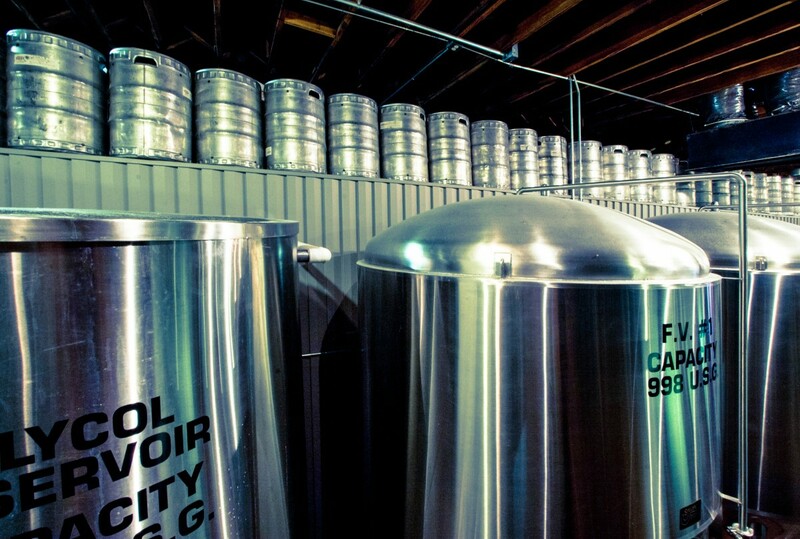 Take our Brewery Tour below! 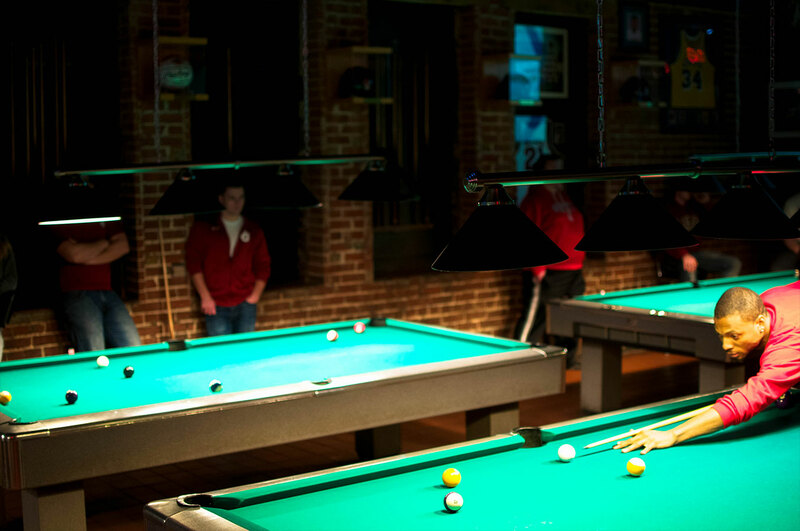 The Brewhouse is Norman’s premier destination for pool players, sports watchers, and beer lovers. 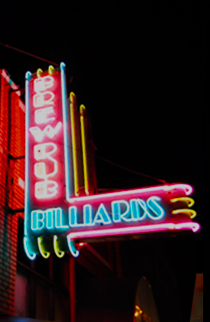 We offer tours of our Brewery, Mug Club memberships, and seven full-sized pool tables. 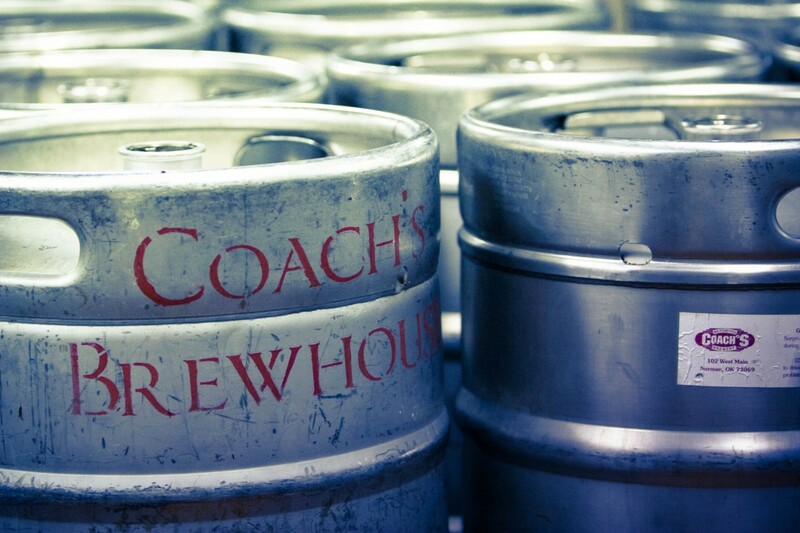 Half-priced wings from 3-6p Monday – Friday with the purchase of a Brewhouse pint! 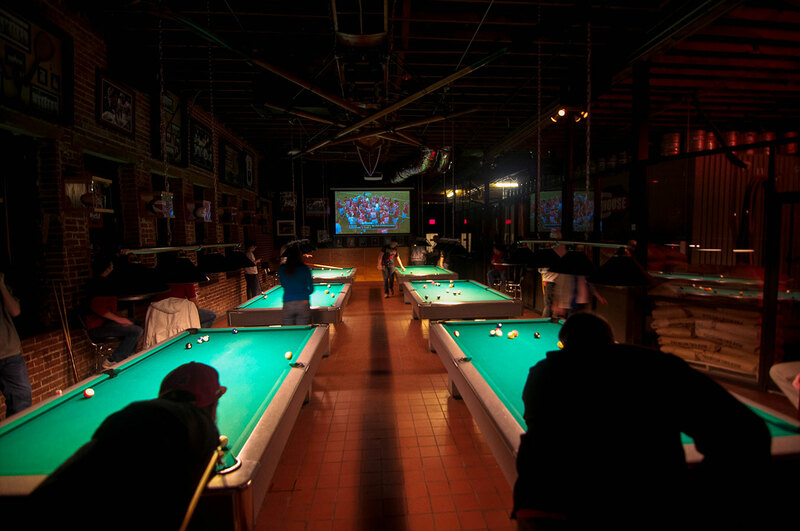 Free pool with the purchase of a jug of beer. This light beer is fashioned after German, summer wheats. Summer wheat gives this beer its crisp, refreshing character. 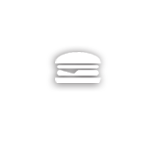 We serve it with a slice of lemon. 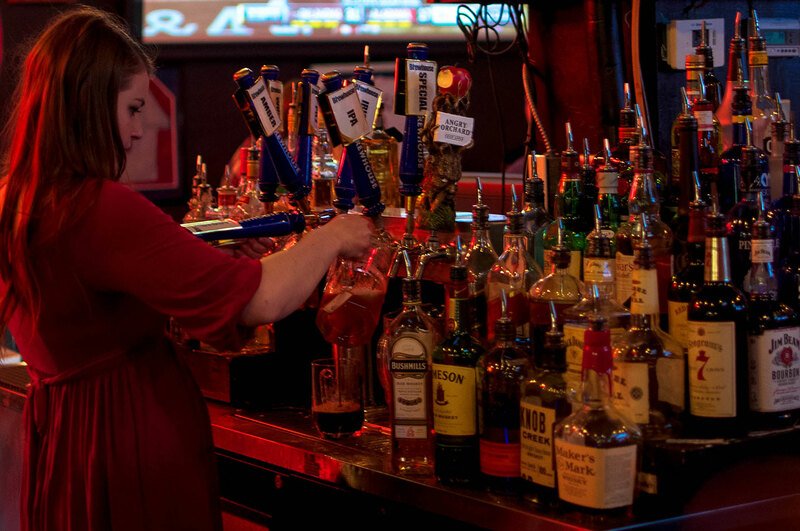 TA malty and full-bodied European style amber, the Amber’s rich color is derived from European Munich and Crystal malts. 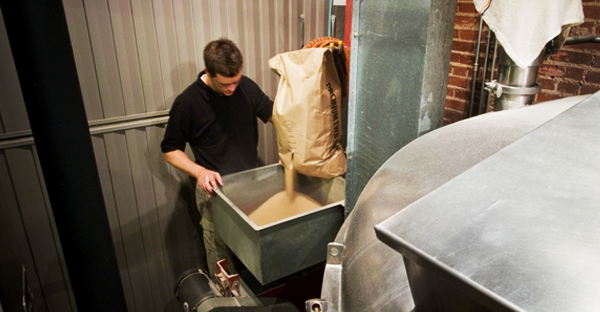 The malts are carefully balanced with German Hallertauer and Tettnanger hops. Generous amounts of roasted and black barleys give this Irish ale its coffee-like flavor and deep, roasted finish. It takes 7 different grains to achieve this flavor profile and the brewing of this fella is something akin to rocket science! and it receives all the attention of a spoiled child. 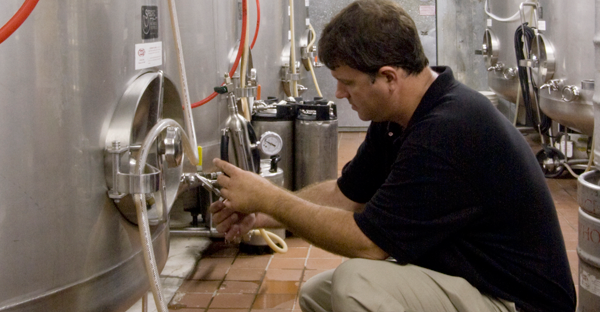 Learn more about our brewing process. 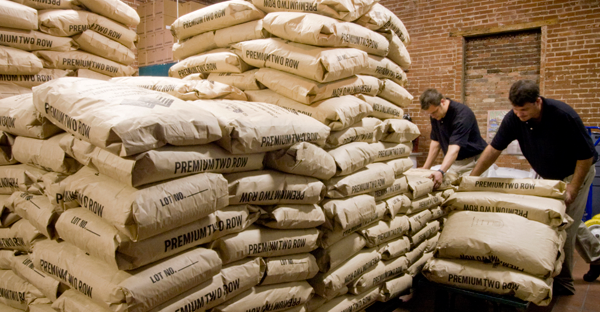 1) It all begins with the grain. We use premium two row barley as our foundation. As beer ingredients go, this is gourmet! 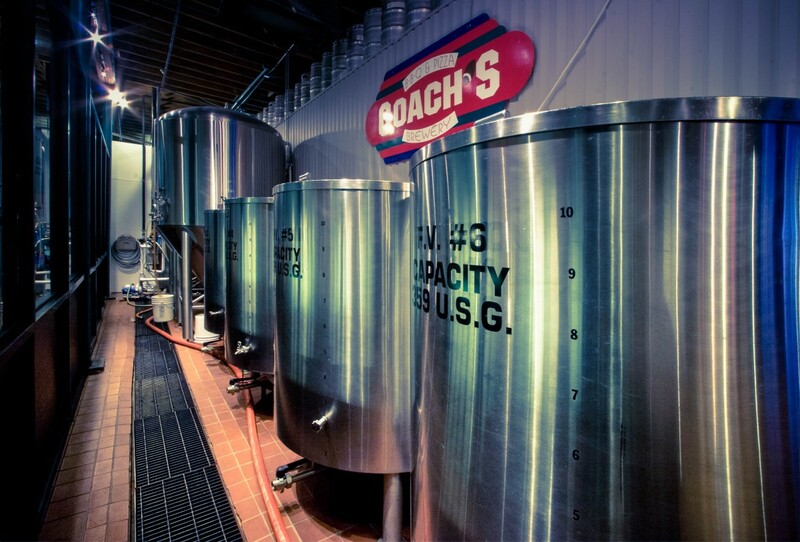 2) The brewing process begins with “mashing-in”. 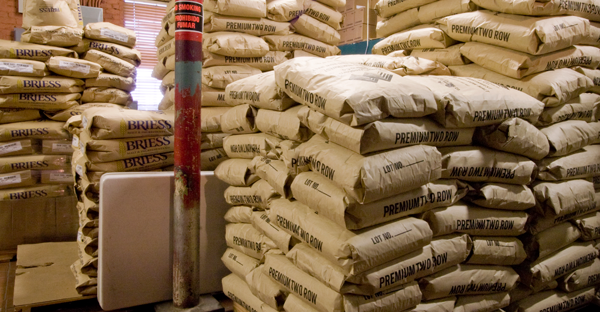 We take thousands of pounds of grain and drop them in to a mill which cracks the kernels exposing the starches inside. This becomes food for yeast! 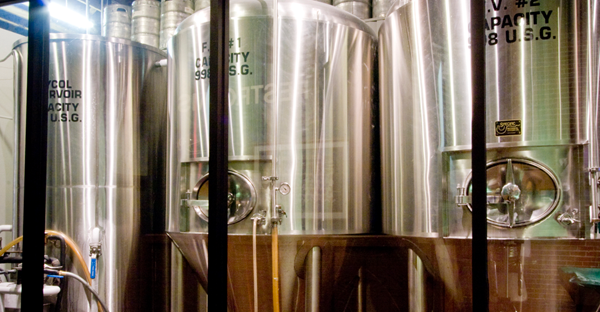 3) The mash tun (on the right) mixes boiling water and the grain to form sweet wort. 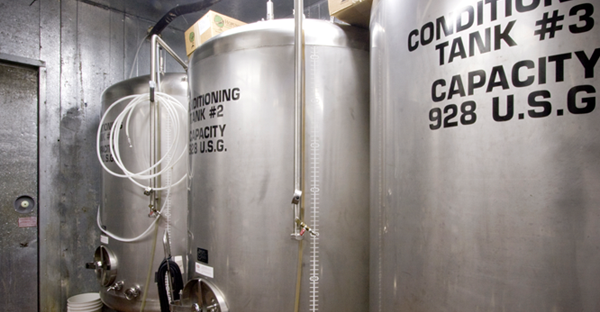 Then the wort is transferred to the brew kettle (on the left) where it is brewed like tea. 900 gallons at a time cometh! 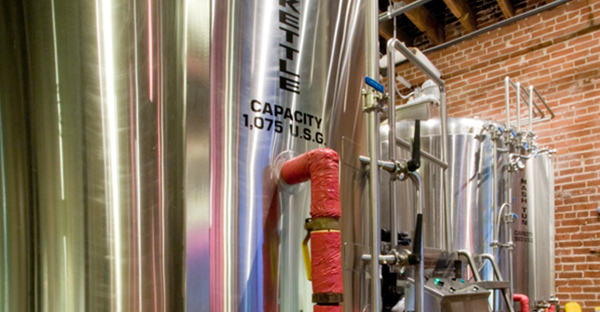 4) After Brewing, we transfer the fluid to a fermenter. At this point we add the yeast, which eat the sugars in the wort.The yeast are living creatures and we essentially prepared the biggest buffet in the world! 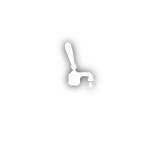 5) The yeast give off two important by-products during feeding; carbon dioxide and alcohol. It’s alive! The beer is alive! 6) What good is nearly 900 gallons of antifreeze? 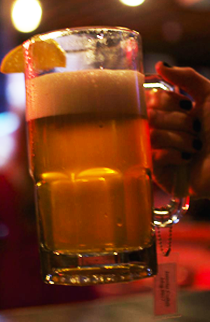 Well, if you like your beer cold, this is the way to do it. 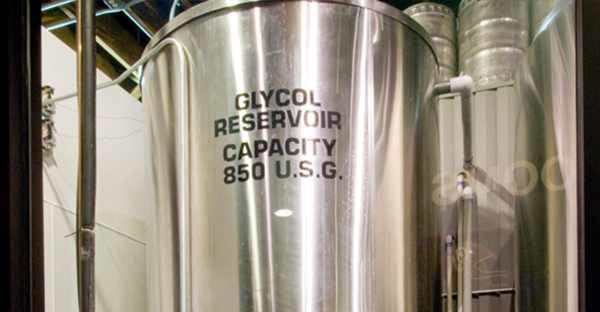 We pump glycol through our jacketed fermenters, and through our huge walk-in cooler to keep that beer icy! 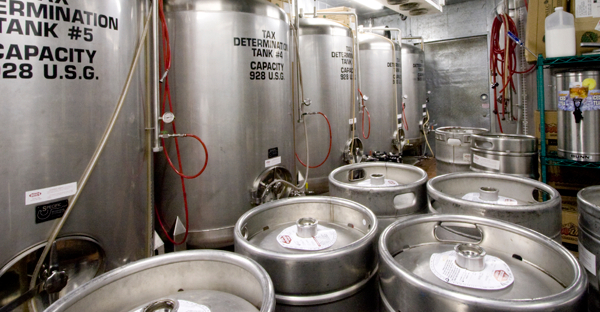 7) Once the yeast is done eating we transfer the beer to these conditioning tanks, and let it age. Now we wait. 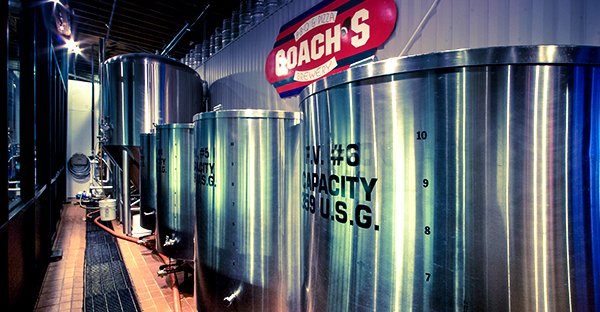 8) Once aged, the beer is transferred to these serving tanks, and voila! It’s ready for you to swim in! 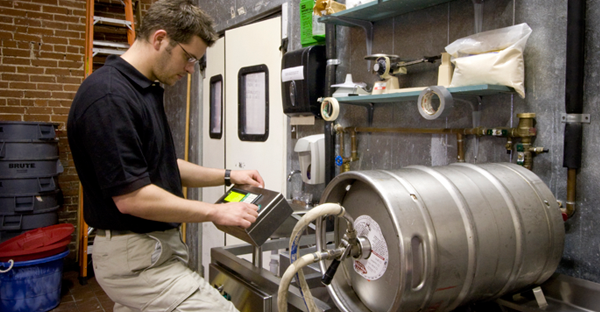 10) The keg cleaner takes the dirty empty keg, cleans it, and prepares it for the next batch of heaven coming your way! 11) The work is never done! Tomorrow’s batch of beer begins today with the weighing in of all that grain. Stay informed with The Good Life Newsletter! 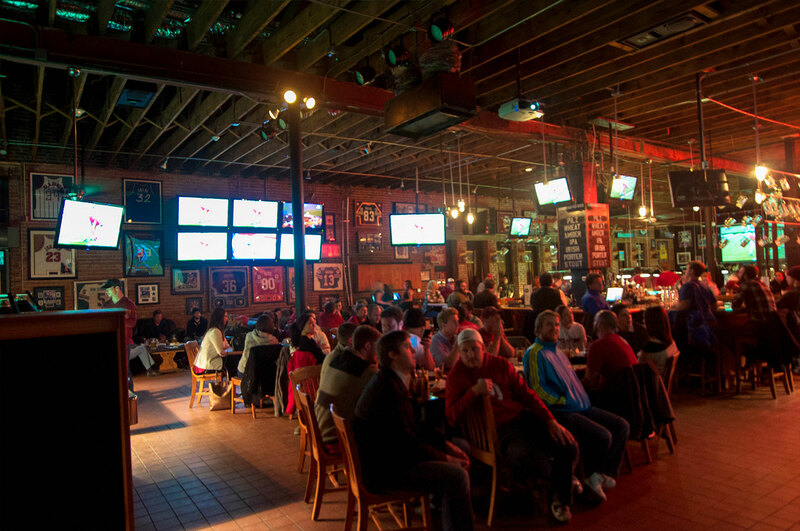 Be the first to hear about news, events, specials and more. Sign up today! 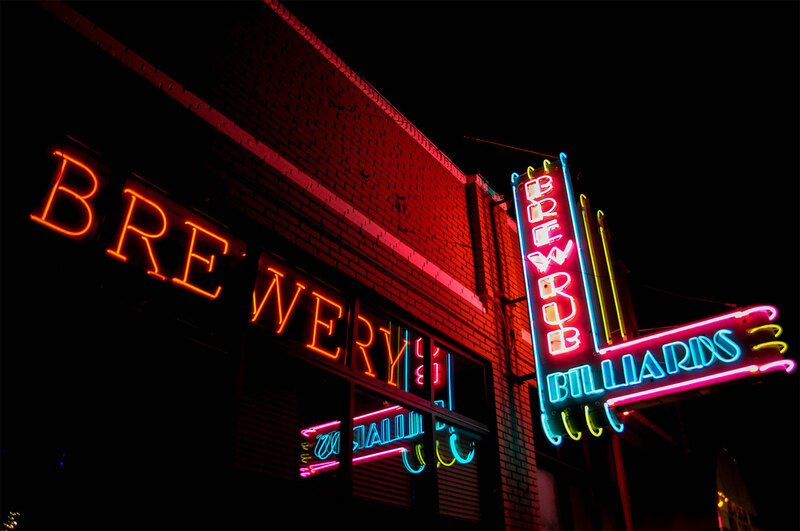 –One-dollar 22 oz pours during specified mug club events.